When I picked up Tightly Knit in one of my favourite Melbourne record haunts recently a fellow browser said, rather cheekily I thought, “That is one of your earlier records, I expect.” Taken slightly aback, it took me a moment to realise that he was referring to the cover art and the similarity in head topography and ground cover to that of the model in the photo. “Tell me it is,” he persisted. It certainly is a striking cover, one from the salad days of Hipgnosis, the design company of the late Storm Thorgerson. What it means is anybody’s guess, though it is certainly no more enigmatic than the Pink Floyd cow from the previous year. The contents, meanwhile, are refreshingly direct: sturdy early 70s British blues from a band of many names. 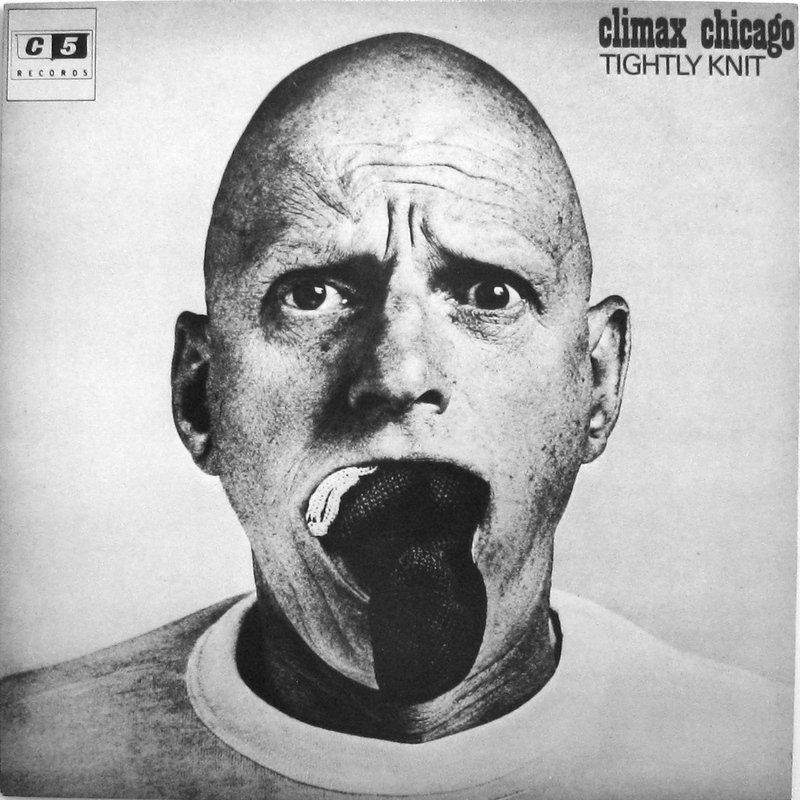 Formed in 1968 as Climax Chicago Blues Band, they reputedly dropped the name of the American city from their moniker following pressure from the band Chicago, originally known as Chicago Transit Authority who dropped the last two words after complaints from the public transport organisation in the windy city. Later CCBB became Pete Haycock’s Climax Blues Band after some sort of demarcation dispute but that is not our concern at present. 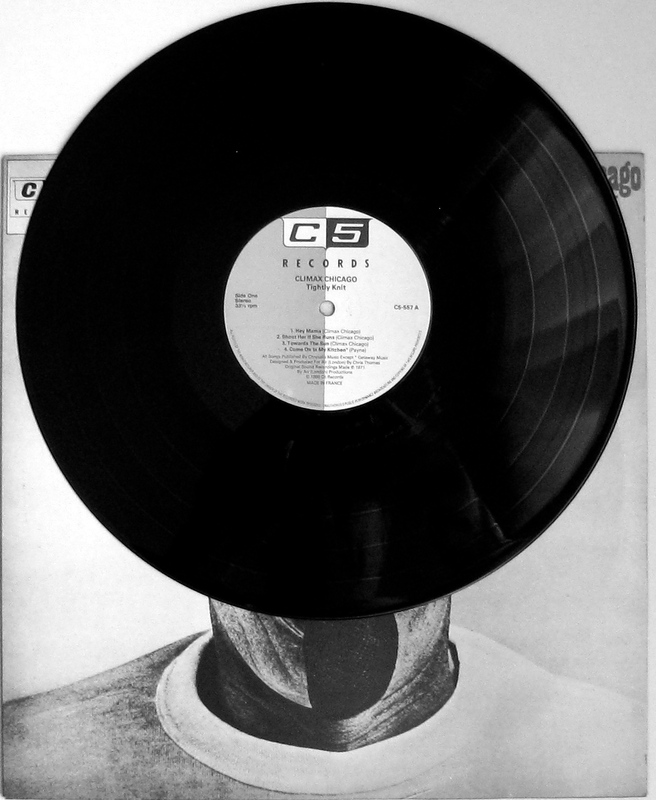 What we can see from the cover of the album I purchased (a 1980 re-issue), is that there was still room for variation. Or perhaps the label weren’t sure which words to expurgate. Anyway, the core members were Colin Cooper (vocals, sax, harmonica), Pete Haycock (guitar, vocals) and Derek Holt (bass) with drummers and keyboard players having various lengths of tenure. On this 1971 recording it is the delightfully named Arthur Augustin Wood playing keyboards and the equally well-tagged George Ewart Newsome Jnr hitting the skins. It is a confident and competent blues rock album, never losing sight of those Chicago electric-blues roots but crafting something individual and energetic; all but one of the songs are band originals. ‘Hey Mama’ races off the blocks with lively rhythm ‘n’ blues bounce, brass backing under a strong vocal and a tight solo from Pete Haycock. It is followed by the lyrically dodgy but powerful ‘Shoot her if she runs’ where the vocal scatting and double tracked guitar make for a richer weave than many a blues tune. Third song ‘Towards the sun’ evokes John Mayall in a ‘life is for living’ rhythm and bluesy way with nicely integrated harmonica and a rollicking groove. 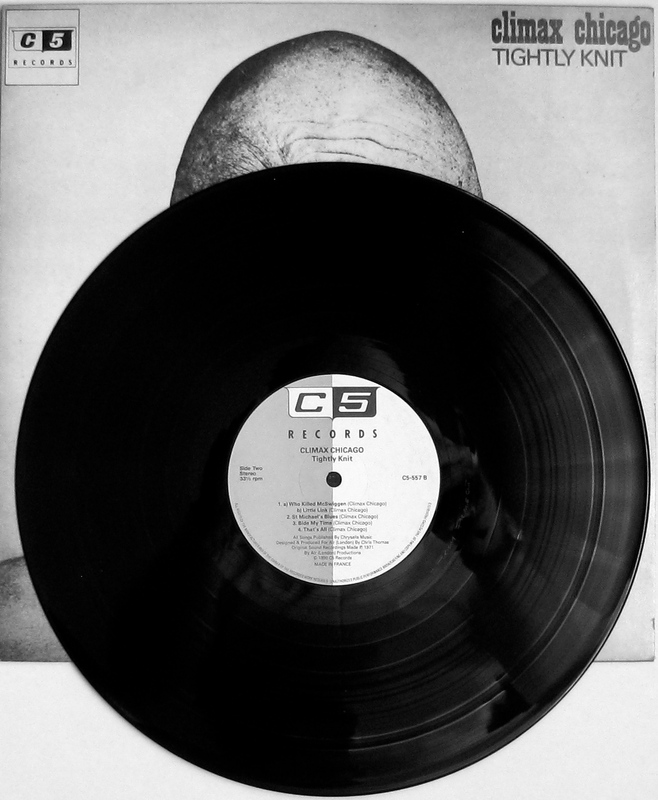 The side closes out with a spare, pensive cover of the classic ‘Come on in my kitchen’. The first verses are stripped back and semi-acoustic before the rhythm section kicks in. The album sleeve has the credit ‘Payne’ which is odd, as my understanding is that the song is by Robert Johnson and is widely considered one of his masterpieces. The way the refrain completes each verse is nothing less than hypnotic and this version does it justice (unless compared to Mr Johnson’s of course). The second side of Tightly Knit begins with a two-part piece ‘Who killed McSwiggen / Little link’, the former a sax driven soul-blues instrumental that thunders along pleasantly without heading anywhere in particular until it stops with alarming suddenness and the totally unconnected second part, an acoustic country-blues ramble, begins. ‘St Michael’s blues’ is a slow-burning extended blues of the kind favoured by Eric Clapton in the mid-70s. The allusion to EC is not spurious; Haycock’s soloing is impassioned and exciting throughout the ten minutes of this number. The sax spots are OK and the vocals delivered with intensity, though it’s worth avoiding close scrutiny of the lyrics which appear to focus on footwear. Well, socks actually. Socks? I was intrigued too, so by dint of cranking up the volume and crawling around the rug in front of the speakers to find the point of maximum clarity, I can indeed confirm the theory that the title references the St Michael line of undergarments (including socks) produced by British chain Marks & Spencer for many decades. So the lyric concerns finding items of underwear on the bedroom floor that differ from those anticipated. Sort of a stockinged version of ‘Whose muddy shoes’. Which would make one blue and the song more than a little tongue-in-cheek. Or perhaps sock-in-cheek. Ah, now the cover makes sense. Still, the guitar playing is electrifying; you’ll rarely hear better from this under-rated and lamented British player or indeed from any blues guitarist anywhere. After all that slow stuff, a good boogie is what’s needed and ‘Bide my time’ delivers nicely with some tasty electric piano to refresh the palate. Final track ‘That’s all’ sounds like a sing-along Canned Heat tune with strummed acoustic guitar, marching toms and whistling. Bit of a weird ending, really. 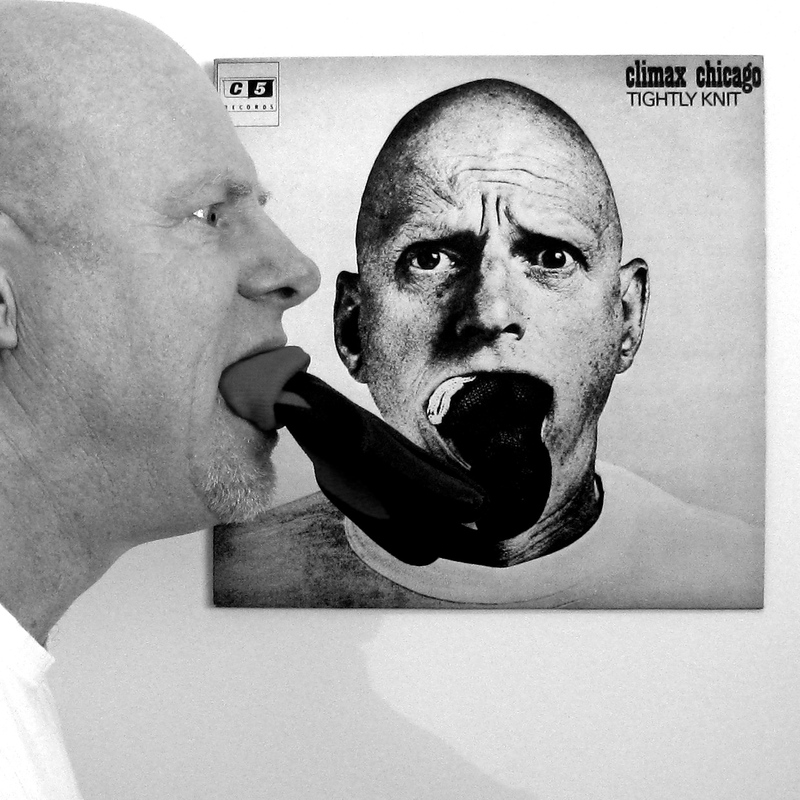 It left me wondering… Can you whistle with a balled up sock in your mouth? No resemblance at all. None. And? Was the sock whistle successful?! Well, Ms Connection, a native of the British Isles, observed that “M&S socks are good, but not that good” so I guess it’s on to the next challenge: sculling a pint. Wow! Talking about sockhronicity, I got my socks out on a post just now too! I’d heard the name, but never heard any of this at all – you make it sound really good. Pete Haycock is a fantastic guitarist; guess I’d describe the band as solid rather than exceptional, though they had a very long career. Must have had comfortable sox. I’m sure I’ve seen countless gig posters for CBB over the years. Comfy socks are very underrated in rock I say. I found St Michael’s Blues on YouTube with a lot of other other good CCBB stuff. Hope you enjoyed Pete’s marvellous guitar work (and the socks). Cheers. Thanks JDB. It was one of those times when all kinds of clever responses occurred later… much later! I also meant to say how much I like the post’s title…a reference to the Ben Kingsley/Ray Winstone movie…? Yes indeed. Can’t add a film quote as every line includes serious swearing. Patron Saint of Hosiery, I believe. Fellow VC traveller DD (above) found a tasty selection of Climax on YouTube if you want to sample. Here is a link to “St Michael’s Blues”. Yup – that’s right up my street. A little more grit than Clapton … well, a lot more. Definitely appeals and I’ll definitely be picking this one up – thanks! I get a bang for my buck on this blog. To much to comment on. CB is overwhelmed. I’m a pig. I’ll pop in for more later. The guy on the front cover looks like a young Michael Berryman.